With swimming pools, the conventional logic is usually this: the bigger the pool the better the pool! While it’s certainly great to have an amazing and large outdoor swimming pool, there’s something to be said for smaller ones. For one, you won’t have to worry about upkeep nearly as much, and the water and heating bills won’t be as exorbitant. 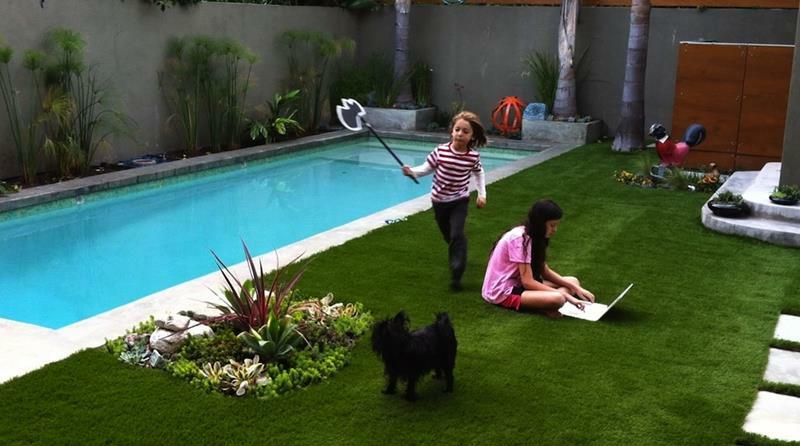 But, small swimming pools are so much more than mere money savers. They can be incredibly attractive design elements that will totally make your outdoor living space! Of course, there are a number of different ways the small swimming pools can be laid out and incorporated into your backyard. To give you an idea of the full range of possibilities, we’ve collected 23 stunning examples. Some of these small backyard swimming pools feature incredibly simple and contemporary design, whereas others make use of natural elements to create exceptionally attractive outdoor oases. So, if you’re thinking about building a small swimming pool for your backyard – or if you simply don’t have the space for something larger – come check out these awesome small swimming pool designs we’ve collected! 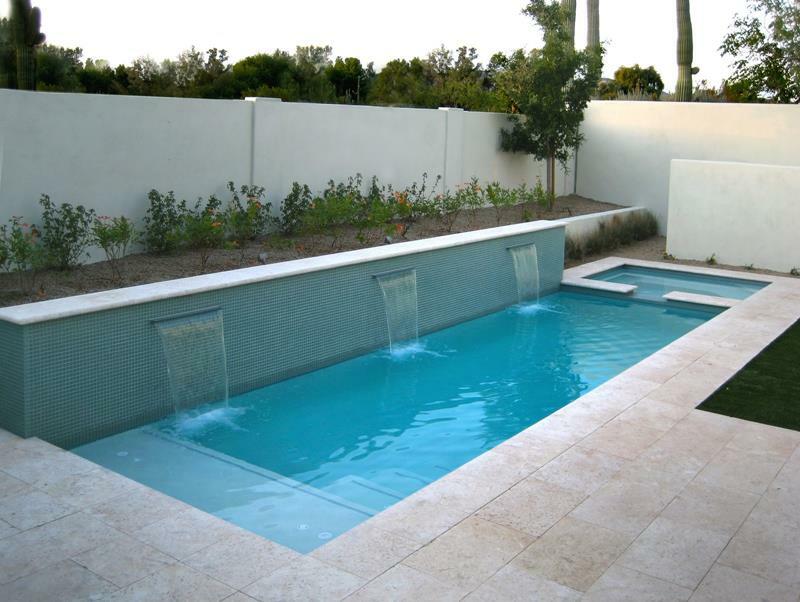 You’re sure to find something appealing and that will inspire a design for a small swimming pool for your home. Three simple waterfalls really make this small swimming pool with hot tub a stand out! 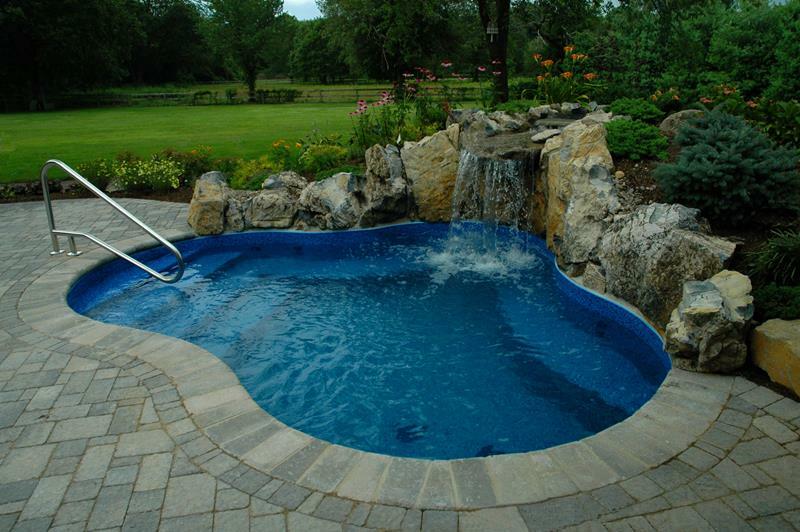 The natural rock face with waterfall helps to complete the look of this small backyard swimming pool. 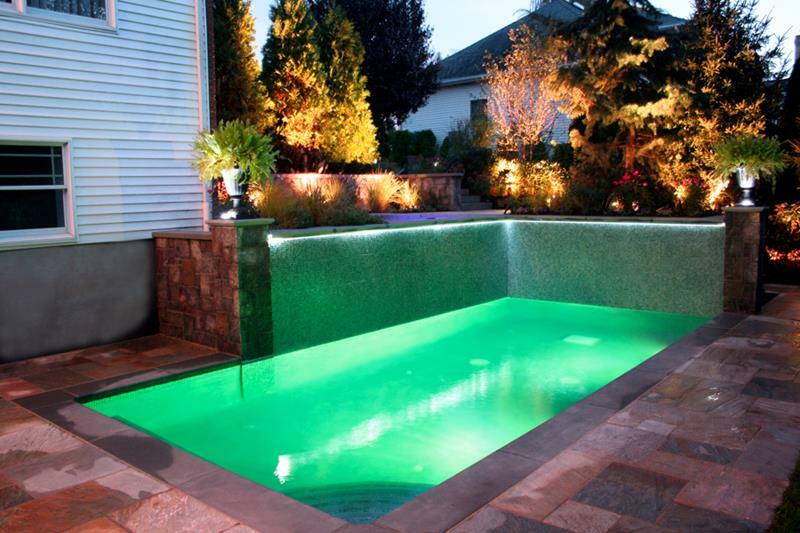 With two tile walls illuminated by green LED lights, this small swimming pool has a distinctive and attractive look.